Allows for one handed braking for Dolomite Alpha Advanced Walker. One hand brakes can control either standard brakes or slow down brakes from one handle. Order handle for good side, Left brake will have the brake handle on the left side. 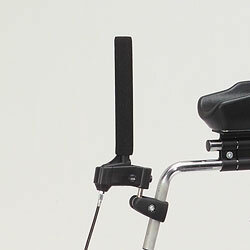 Package consists of the joystick style brake handle for the Alpha Advanced walker, with dual wire cables and sheath coverings.